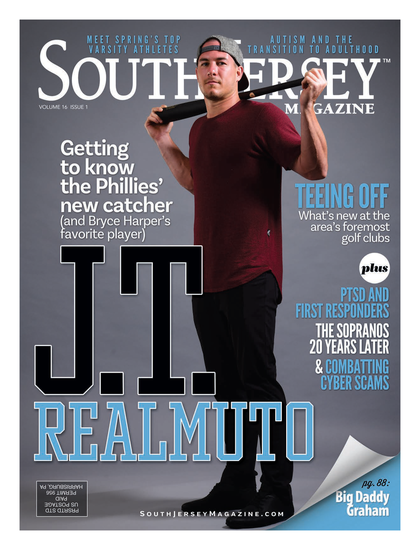 It’s been a year since we last brought you our annual roundup of the finest things from across South Jersey, and let’s just say you'll want to take a look. A much-needed upgrade of the state's water infrastructure could take decades and cost billions. The question is, who exactly is going to do it? Five years after Sandy left its mark, beach homes sit higher and new dunes dot the coastline. But are the moves enough? In a new and unique program, Camden County inmates train service dogs for veterans. A shortage of workers and proposed immigration reform in D.C. could have a lasting impact on the agricultural industry. Medical Advances in South Jersey are on the rise. Comedian, a former Miss New Jersey, married mother of three and writer Dena Blizzard talks about how we can help young women turn confident. Read on for our review of the new BYOB - Two Fish. Read on for this month's Top Fast Food in South Jersey. South Jersey’s access to abundant agricultural resources and innovative ideas led to the creation of some of America’s favorite foods.